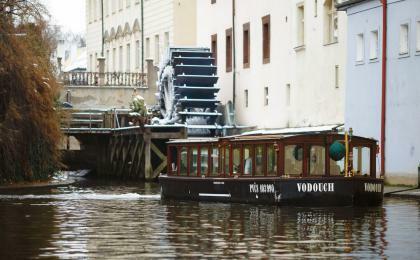 Are you thinking of a Prague boat tour? 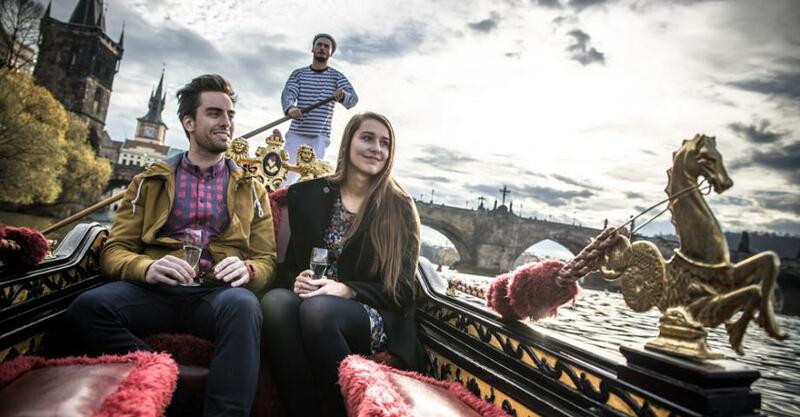 Admire the Prague city sights from the deck of a real gondola. 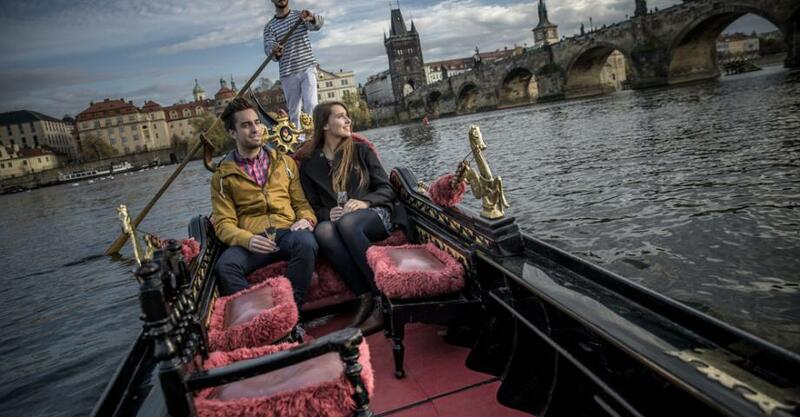 Sail under the Charles Bridge and through the channels known as the Prague Venetia on a traditional venetian rowing-boat. To make the boat tour more pleasant, you will receive a glass of champagne, during the cold months a glass of mulled wine to get warm instead. If you´re a fan of boat city tours and are looking for something unconventional as well, if you desire to surprise your partner or just yearn to experience something romantic with your mate, don´t hesitate and choose either a half-hour or a whole hour long river cruise on the board of Eleanor - a genuine Venetian gondola, which is manoevred by a real gondolier. Gondola is an Italian boat. 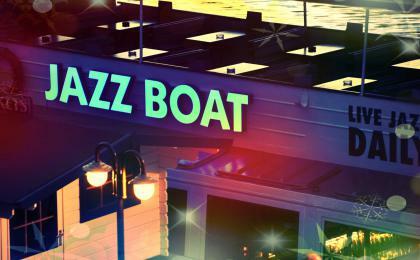 It is made of wood and has a metallic beak bow and stern. The boat is 10 m long and has a flat bottom. 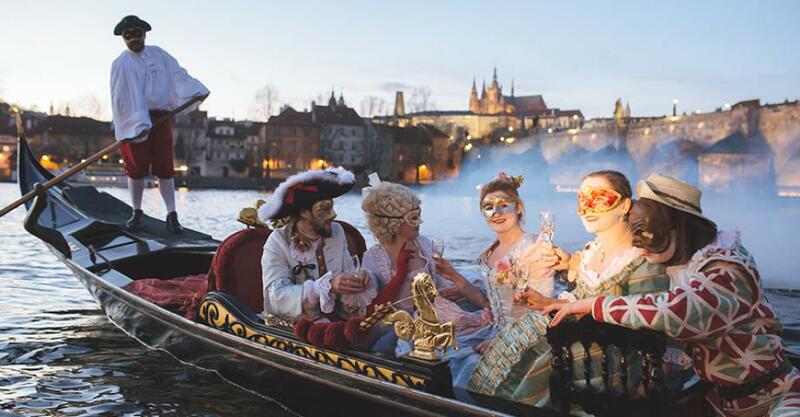 During the ativity you sail under the Charles Bridge and in the canals of Prague Venice, under the last already existent arch of Judith Bridge in channel Čertovka, which was the first stone bridge in Prague. When sailing you can sip champagne, or in the winter months we will keep you warm with mulled wine. We cancel this action in strong rain, snow or frost. The cruise takes 45 minutes. This experience is designed for 2 persons. There is no specific recommendation. Depends on weather.